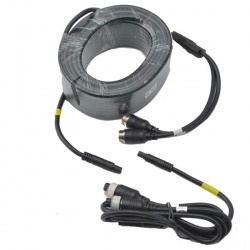 Our CAM222 twin lens reversing camera is effectively two cameras in the same body. This cable has been developed to send the signal from both cameras down a single cable. 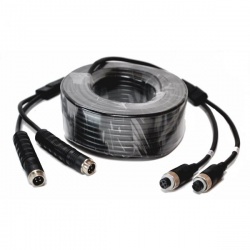 It overcomes issues of cross channel interference found with poorer quality cables. 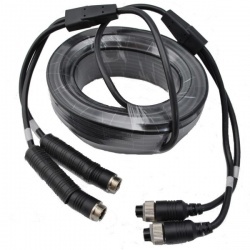 By having one cable it simplifies feeding cables through a vehicle. It also keeps the number of connections down to improve reliability. 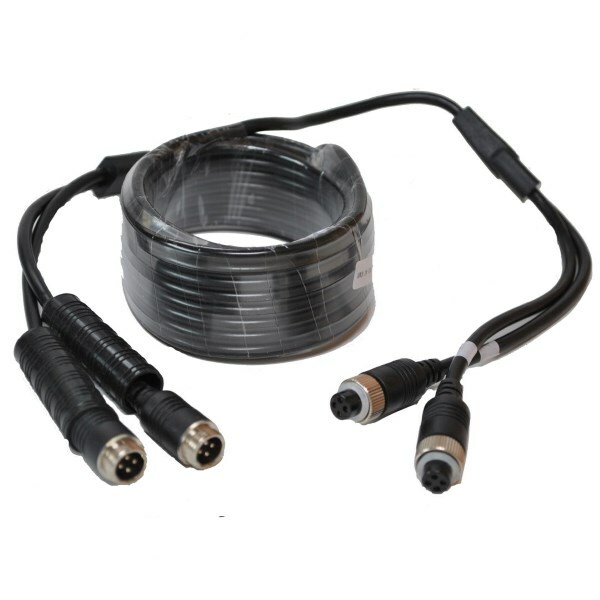 We now supply this cable with all our twin lens systems. This listing is for the 15m version. If you need longer we have them available in multiples of 5 metres. 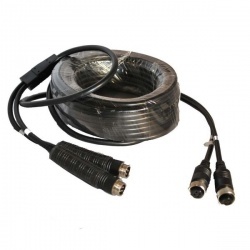 AHD camera systems are very rare, but if you have one we recommend you use 2 single cables rather than a Y-cable. AHD cameras have a much higher frequency signal so there is a drop in signal quality especially at night.